Often times, if not more, we prefer watching high definition videos on a big screen no matter how alluring the smartphone happens to be. This was made possible with an HDMI cable connected to your smartphone where the audio and video could easily be displayed and viewed on any compatible receiver like a television or a computer monitor. However, the glitch is the endless cables and then there is also the Wi-Fi coming into the picture. Contradicting the traditional usage of cables, Miracast is an app designed specifically to enable seamless display of multimedia content between its compatible devices. Miracast makes use of neither an HDMI cable nor an internet connection. To begin with, Miracast came into existence when the Wi-Fi Alliance that collectively enforces standards for the Wi-Fi brand, built it upon a technology called Wi-Fi Direct. 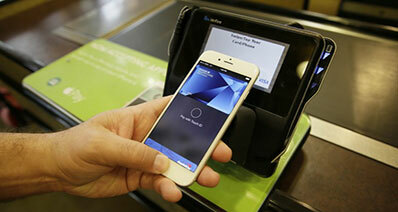 This technology doesn’t make use of even a wireless router and the streaming is done in a continuous flow. The Miracast app is compatible with all the Android Phones running with 4.2 or newer version. The main principle behind this Android Miracast App is that it allows the Android mobile device to discover and pair with the other Miracast-compatible receivers such as televisions and set-top boxes. Now, the Miracast Android will mirror the copyright-protected content, if any, and will mirror all the contents of the mobile screen onto the receiver, per say, television. Everything will be a wireless display along with a standard video/audio streaming. Connecting the Android device to other devices has now become a necessary obligation due to the increased need for sharing thereby leading to mirroring application. In order to enjoy the features of this mirroring app on Android devices, some of the best Miracast Apps are the only option. However, one thing to remember is that Android Miracast App doesn’t go with the same name as Miracast. This is one of the top Miracast Apps through which all the Android devices like phone or tablet can be allowed to manage from Windows, Mac or the Web. Also, the entire procedure is wireless and free of cost. This is a trusted app and is recommended by numerous media/websites such as PCWorld, BGR, LifeHacker, CNET, etc. 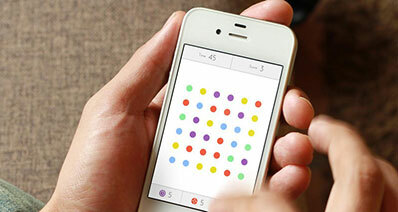 The app is small with a size around 10 MB and is very effective to use. Apart from screen mirroring, AirDroid is also the best device manager for files and media. The app allows for a Backup & Sync, Recording screenshot, and sending SMS & Contacts management from the desktop. 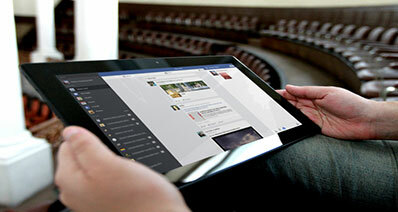 Screen Stream Mirroring Free does all its functions in real time when it comes to mirroring and broadcasting. The screen can be shared with any other device through media player, web browser, Chromecast, and UPnP / DLNA devices. 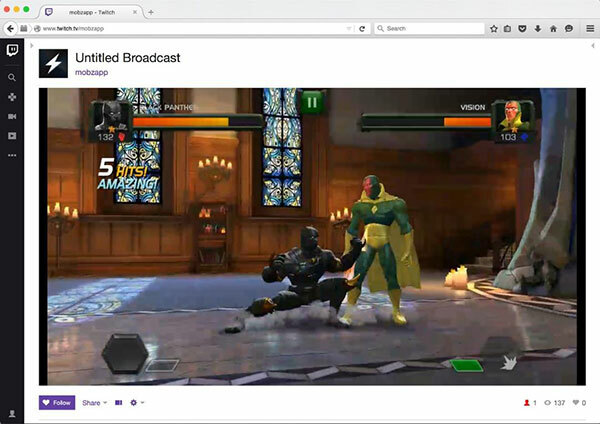 One can live broadcast everything to Youtube Gaming, Facebook, etc. Presentations related to work or education can also be made. The screen can also be used to record files. 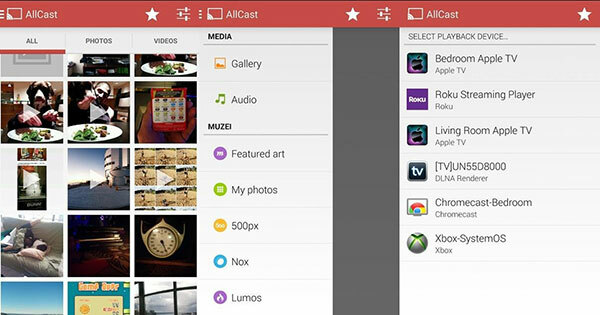 AllCast app is one of the easiest and highly compatible Miracast Android apps that will enable the user to send photos, music, videos, apart from mirroring the screen. This app has a free version but it is only a five-minute preview and one has to switch to a premium to enjoy the full features. The screen of the Android device is shared mainly with Television. This app can also cast Chromecast, Amazon FireTV, Apple TV, Xbox 360, Xbox One, and many others. It has a Wake Lock feature that keeps the Android turned on while streaming. iSkysoft Toolbox - Android Screen Recorder is a multifunctional software used to mirror as well as record the Android screen onto a PC. 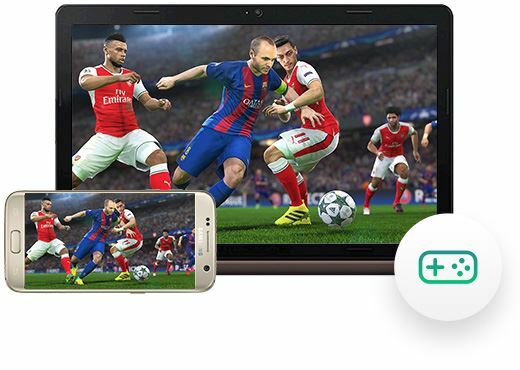 This is ideal to project Android Games with a high resolution along with a recording of the game to be shared with friends. Making of demos/tutorials, recording videos, audio files, creating presentations, etc. are the varied capabilities of the iSkysoft Toolbox - Android Screen Recorder. It is possible to control the Android Phone without any lag. Multiplatform Compatible – Supports almost all the Android devices from versions 4.3 to 7. The video and audio resolutions can be adjusted prior to recording so there is no need to compromise on quality. App and text messages can be answered directly from the PC. 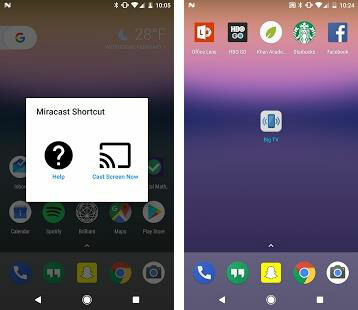 Miracast Widget and Shortcut is one of the best Miracast App that serves a perfect example of a cross-platform solution. This Miracast App is easy to handle and is highly compatible. 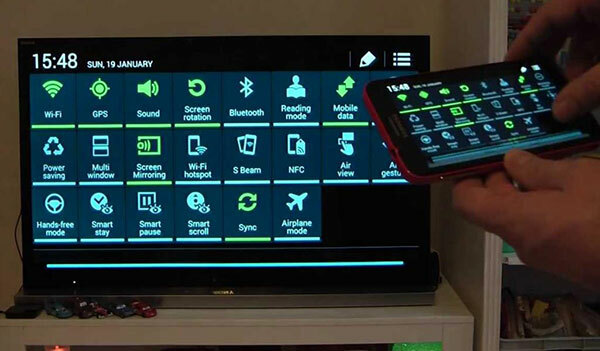 This app provides a shortcut to make use of the Miracast feature from supported applications. All it takes is a single click for your Android to scan and pair up with the other Miracast compatible devices. A shortcut to directly send the device’s display to the TV or computer monitor is available. Screencasting is possible with numerous products like Google Chromecast, Netgear Push2TV, etc. The changes in the old version of the Android has a dialogue interface to disable the shortcut directly. 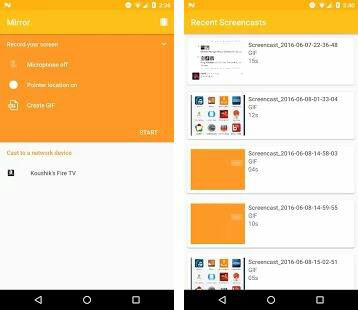 True to its name, Screen Monitoring is one of the best Miracast App to share your android screen with the smart TV/Displays. This app will share not just the screen but also the videos, music, photos, and basically, any multimedia content with the Miracast Android compatible devices. However, its functionality is same as that of using HDMI minus the cable. The screen mirroring is possible with various Samsung smart TVs and laptops. Works on the Android devices with version greater than 4.2. Also works on Roku using Roku media player channel. 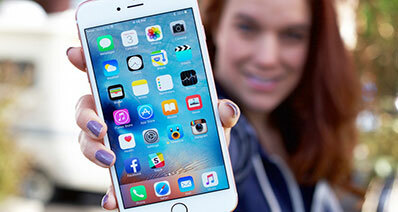 Screen Recording and Mirror is not just about screen sharing. The Android screen can be recorded into a video file and can be displayed to any other device including another Android device. There are a separate set of instructions to be followed for monitoring between Android to Android or Android to other displays. The video file or screenshot recording can be displayed to Fire TV, Apple TV, or Chrome. No setup is necessary if the receiver is an Apple TV. GIF’s are also supported through screen recording.